We have taken the Skel-E-Mingo and made a Party Pack! The classic lawn ornament with a goulish twist! 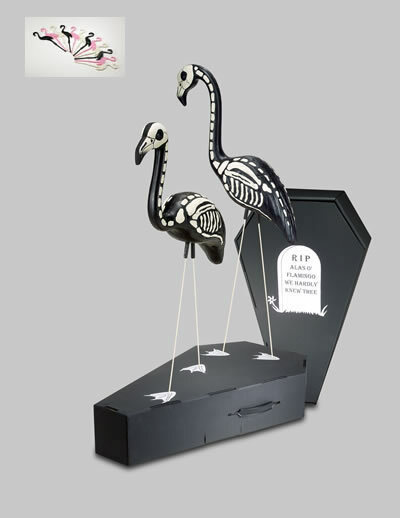 The skeleton flamingo makes a great decoration for your party. Can be used indoors or outdoors. "Perfect for the party...then in the yard for the rememberance!" Body is made of plastic with metal legs. The classic lawn ornament with a goulish twist! The skeleton flamingo makes a great decoration for your lawn or party. Summer is gone so let's bring in the Fall with the appropriate decor!